The majority of Filipino, Cebuano people originated from Cebu, Bohol, Siquijor, Biliran, Western and Southern Leyte, eastern Negros and most of northern and southeastern Mindanao in the Philippines. They speak Cebuano with many fluent in English. Most Cebuano are Roman Catholics, while a significant number belong to the Aglipayan Church, which originated in Ilocos Norte. Catholicism in the Philippines combines belief in patron saints with belief in supernatural forces. Many consult faith healers for herbal treatments of physical ailments. Pray that God will ignite passion for Him and His work among the Cebuano people. 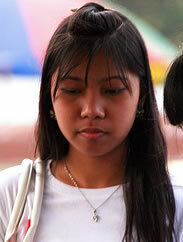 Ask God to give the Cebuano believers boldness to share the Gospel with their own people. Pray Cebuano believers will cross cultures and evangelize the many least reached people groups in North America.